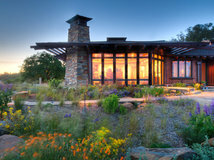 As with any large-scale renovation, the costs of a landscape remodel can quickly add up. 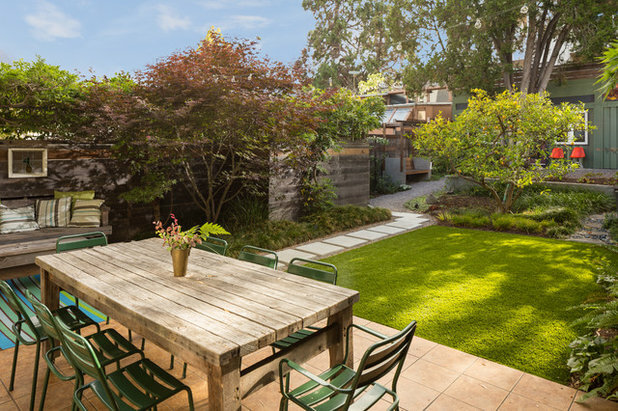 With the right design moves and decisions to stretch your budget, you can pull off the look and feel of your dream garden without letting the budget get out of hand. 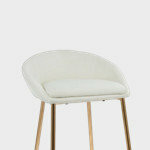 But where it can make sense to save — without compromising quality or style — may not always be where you’d expect. 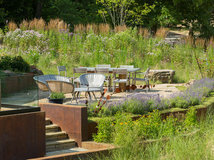 Read on, as landscape design professionals on Houzz offer their advice on the best places to save money on a landscape redesign, such as savvy ways to repurpose or refinish existing materials, strategies for phasing larger landscape projects and more. 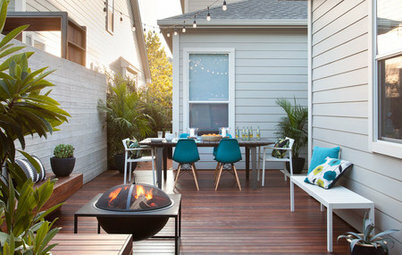 It’s easy to get carried away when it comes to creating your dream landscape wish list, with elements from patios to outdoor kitchens and pools to fire pits, but costs quickly add up. Focus on the elements you really want and will use often. 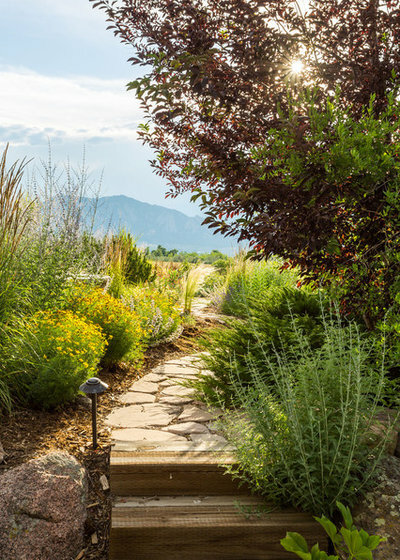 “If you want to save money, scale things back or take out a few features that you could add over time,” says landscape designer and contractor Heather Sweeney of Mom’s Design Build. Tip: Having a professionally drawn site plan in place will help ensure that you won’t have to disturb an improved area when installing new features at a later stage. Hardscape — hard surfaces such as pathways, pavers and patios — is often one of the biggest “budget eaters” in a landscape remodel, as the materials and installation can both be expensive. If you’re looking for ways to help rein in your budget, resilient but less expensive hardscape materials can fill in, either temporarily or permanently. 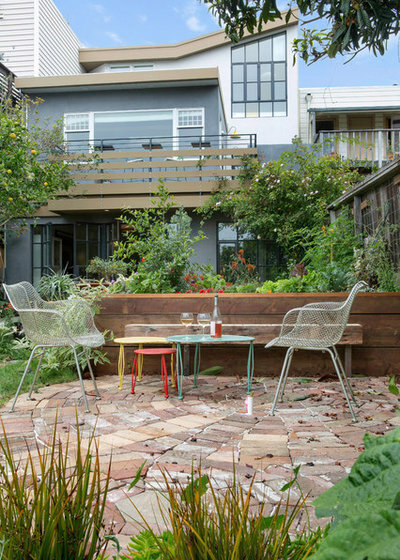 For a front yard redesign in Berkeley, California, landscape designer Ian Moore used a mix of gravel and pavers instead of cut stone for the front patio and walkway as a cost-saving measure. 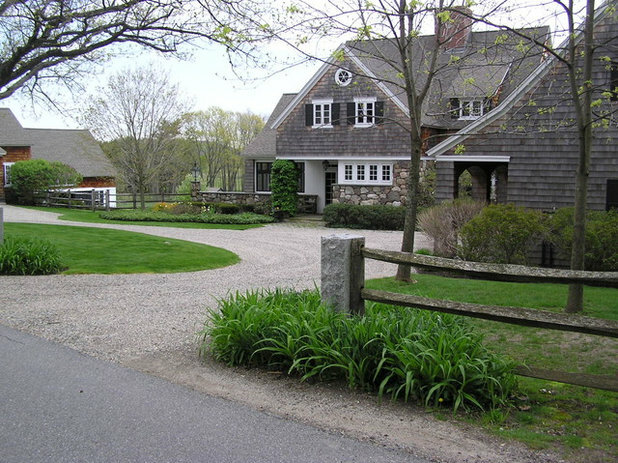 The 12-by-10-foot gravel patio, pictured here, was installed with the thought that the clients might upgrade to cut stone in the future. 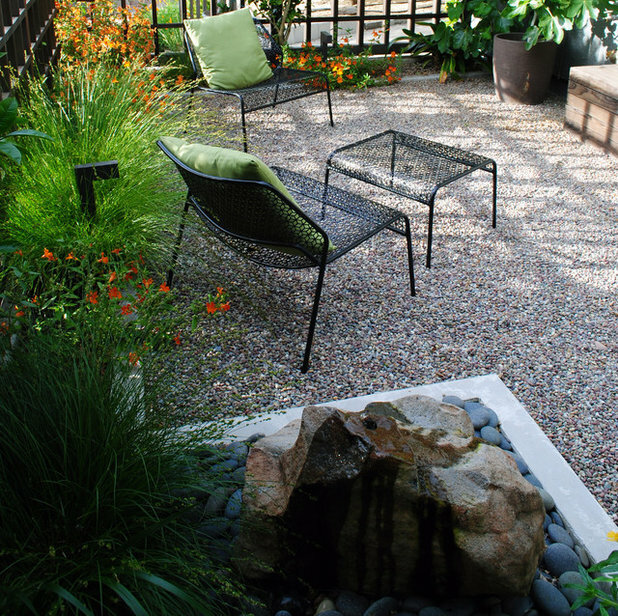 “Gravel can be an excellent permanent low-cost alternative [to cut stone],” says Moore, who recommends using a mix of gravel and concrete (another of his go-to budget-friendly materials) or precast pavers to create pads for furniture. 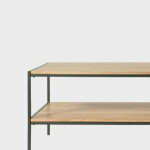 The cost savings on material choice can be considerable. 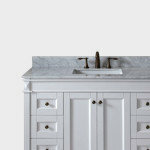 For example, he says, the average cost for decorative pebble installed is in the range of $3 to $8 per square foot. 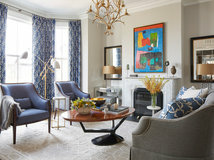 “By contrast, cut stone typically ranges from $10 to $30 per square foot or up to $60 per square foot for an experienced stone mason,” he says. 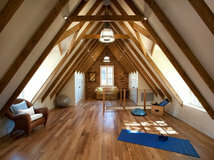 Regardless of the material you choose, it pays off to invest in proper professional installation. Tip: If you need to be able to roll a wheelchair, walker or stroller over your main path, consider gravel as a cost-saving material for secondary paths or patios instead. While it’s tempting to want to rip out everything and start with a clean slate, it’s better to pause and take stock of what you have. 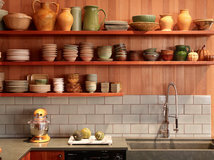 Repurposing existing plants and materials — especially long-lasting, high-quality ones — can help save your budget and enhance your design. 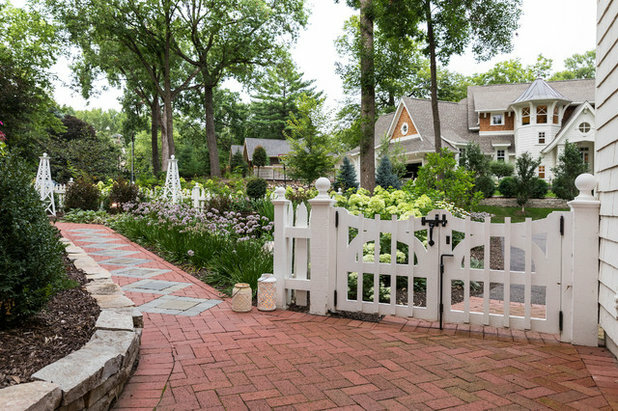 For this cottage-style garden in Minneapolis, Sweeney used existing clay pavers mixed with brick to create a new walkway and relocated established daylilies and hostas. She kept the original white picket fence, giving it a fresh coat of paint, new ball caps for the posts and new gates for an updated look. “A fresh coat of paint on a dated item is worth the investment for a relatively low cost,” Sweeney says. If you don’t have existing elements that can be repurposed, chances are someone in your community might. 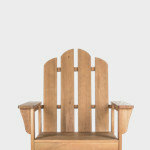 Check with local salvage yards and material warehouses. You may be able to score a pallet of bricks for a patio or redwood boards for a fence at a fraction of the price of purchasing them new. If you’re purchasing new materials such as gravel, wood or cut stone, ask which ones come from your local region. 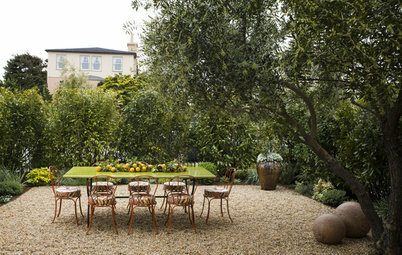 They can often be more affordable than materials that have been transported from elsewhere, and can help your new garden fit in with the natural tones of the area. Ask the landscape designer or architect you’re working with if local materials could be prioritized. Landscape designer Kathryn Prideaux in Tucson, Arizona, recommends sizing down plants to help with your budget. 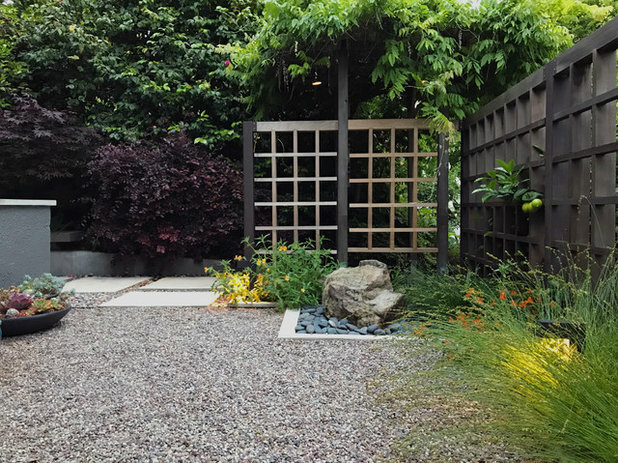 “Plants can easily be purchased in smaller sizes, and they will grow to size over time,” she says, adding that it’s smarter to invest in permanent elements like hardscape. Even planted from small containers, many herbs, perennials, ground covers, ornamental grasses and vines will fill in quickly. Some shrubs, trees, cactuses and succulents can be slower to reach maturity, depending on the species. 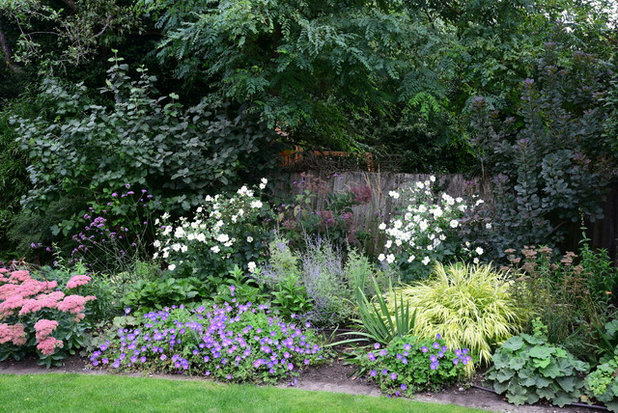 A few exceptions for which it can be worth the splurge on larger plants: one or two mature trees for dramatic impact and shrubs needed for screening. 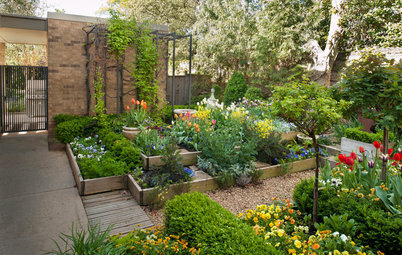 If you’re looking for color in planting beds, perennials — plants that come back year after year — are a much better investment than annuals that need to be bought and replanted each season. Nurseries will often have end-of-season sales well-stocked with perennials in fall, which is a perfect time to plant. Tip: Another way to score plants for less is at a plant swap. Communities will sometimes host plant swaps, generally in spring and summer, where you can bring plants of your own or cash to trade for or buy other potted plants. Professionals can help you save money on plants. 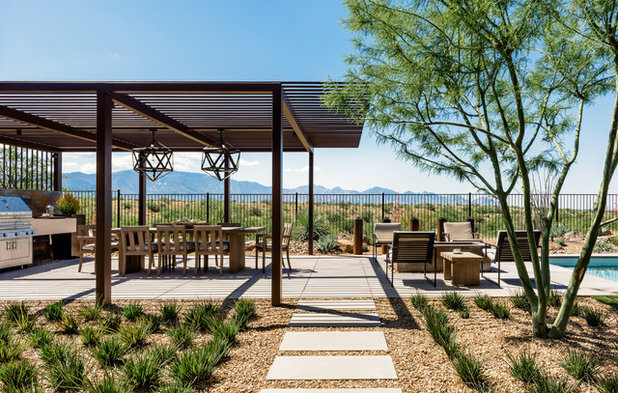 “The retail nursery cost of a plant can often be one-third to double the cost of a plant purchased by a landscaper at a wholesale growing ground,” says landscape architect Steve Kikuchi of Kikuchi + Kankel Design Group. This can also be true for soil amendments, fertilizers, gravel and mulch. “A landscapers’ labor cost to purchase the plant, deliver it to the site, add fertilizers, amend the soil, dig the hole and install the plant is oftentimes just a bit higher than the cost differential between the retail and wholesale material costs,” Kikuchi says. Depending on your plant knowledge, a professional may have a better understanding of plant spacing and depth, resulting in a better overall planting job. For permanent and high-use elements, it makes sense to choose the highest-quality materials and craftsmanship you can afford. 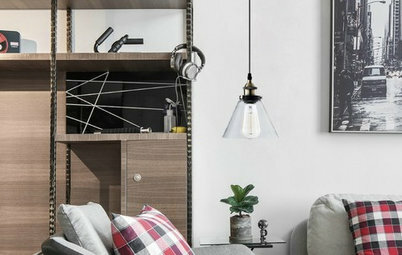 For smaller decorative accents, this isn’t always the case. 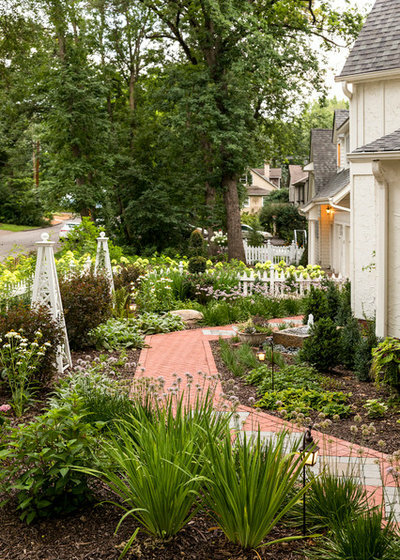 “Cute little garden details, like the obelisks we used in this garden, can make a big impact,” Sweeney says of this Minneapolis front yard. Adding the ball caps to the posts of the existing white picket fence was another way she elevated the overall look for a low cost. Other low-investment, high-payoff exterior accents to try: chic house numbers or a standout mailbox. We already mentioned picking up perennials at fall nursery sales, but here’s another thing to look for: containers for potted plants. Stores will often cut prices by 50 percent or more to clear inventory at the end of the growing season. Stock up on large pots and planters for spring planting. 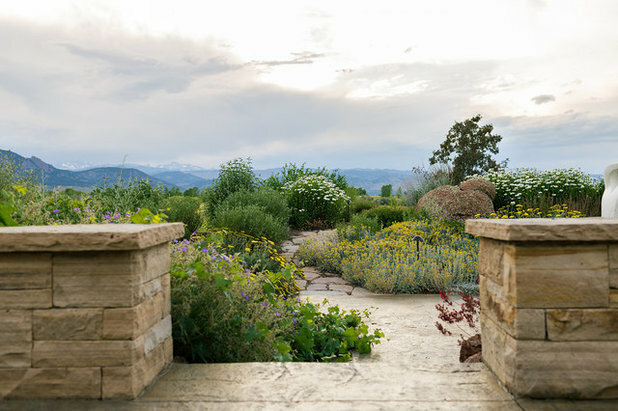 This pastel-toned Colorado garden is made up of durable natural stone and low-maintenance perennials and shrubs well-suited to the mountain climate. 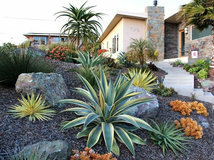 Once hardscape is installed and plants are in the ground, your costs going forward will be associated with maintenance. Some hardscape materials require more maintenance than others to continue to look good over time. Plants all require different levels of water and maintenance throughout the year to continue to thrive. It’s best to consider this now, when you’re just beginning your project, to design your plan accordingly. 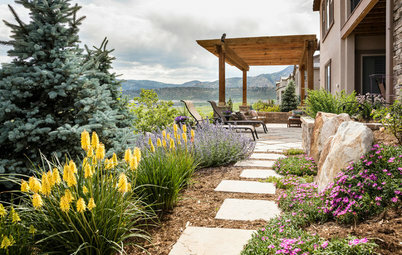 In general, high-quality natural materials such as cut stone and flagstone for patios and walkways require minimal care when properly installed. Gravel and decomposed granite, on the other hand, need to be topped up every so often. Synthetic decking can save the cost of needing to seal a natural wood deck every few years. 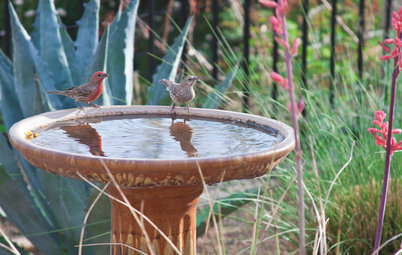 For plants, your best bet for cutting down on water costs is to use native plants or those that grow well in your climate. 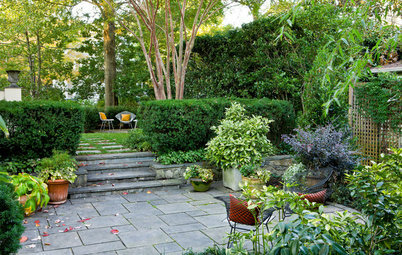 Gardens composed of easy-care shrubs, ground covers and perennials require less care than those designed with high-maintenance annual flower beds or clipped topiary. Choose a style you have the time and budget to care for going forward. 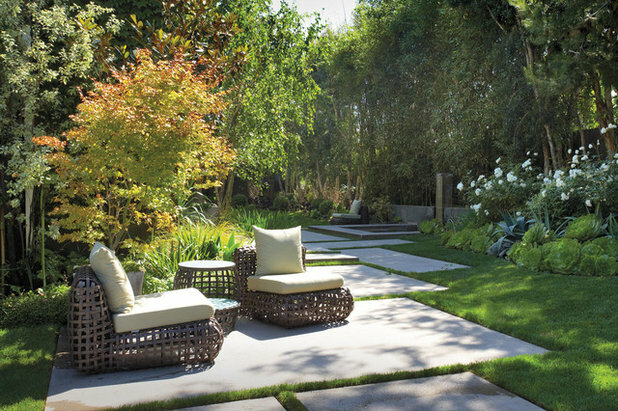 Skipping a traditional lawn can also offer major savings in terms of both water (in dry climates) and maintenance. 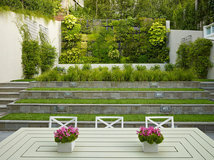 Tell us: Where have you saved in a landscape remodel? Share your tips in the Comments. 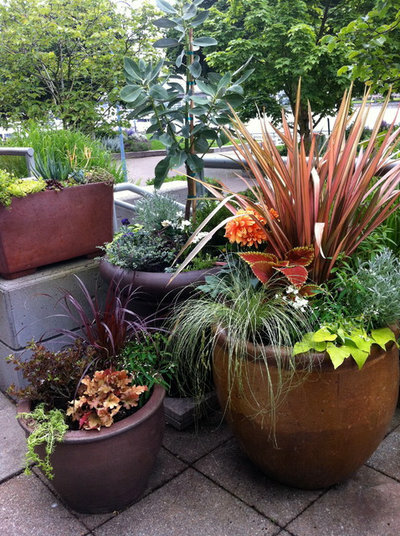 Pots for plants are also available used - check the garage sales and charitable thrift stores. Don’t hesitate to develop a master plan with a landscape designer, that way you can explore options and costs on paper, that’s also less expensive than putting in something you end up replacing. It also allows you to figure out phases and work in ways that make the most sense to finish your plan. A plan is always money well spent..